So, you’ve decided to study in England to improve your language skills and spend some time in another culture. Whether it’s a semester at a British university or a course at a language school – is merely studying in England enough? It’s definitely a good start, but to make the most of your upcoming language experience, there are a number of other things you can do in your free time that will help you to meet new people, practice speaking English, and get an insight into what life is really like in the UK. Here are a few ideas! Speaking a new language all day every day can be tiring. Having people around you who speak your native language may be a comfort because you don’t have to think about expressing yourself in English, but be careful that you don’t end up in a group of friends who only speak your native language. If you only spend time with these people, you will miss out on opportunities to speak English. A tandem partner is someone who wants to learn your native language. 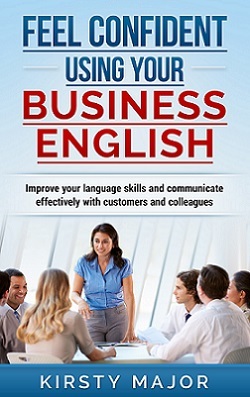 The idea is that they help you with English, and you help them as well, so you both benefit from the exchange. Tandem exchanges can be really useful because one-to-one conversations are often more in-depth and for many people they are less stressful than big group situations. Also, if you live close to one another, you can meet up to do activities that you both enjoy. If you split the time between both languages, you can help one another by giving feedback, introduce new words, explain about your culture and generally have fun! You’ll be amazed how much you will learn if you’re not concentrating on the act of learning! I have written another post about how to get the best out of language exchanges. You can find it here. I have found language exchange partners on local sites such as Gumtree, on specific language exchange sites such as Conversation Exchange, or in language groups on Facebook. There may even be some kind of language exchange programme at your university. Meetup.com is a site that brings people together. I used the site for meeting new people when I moved to a new area, and it’s a way of finding people who have similar interests to you. Of course there will be clubs and societies at your university, but this is a way of extending your circle of friends and meeting people of all ages. Some of the groups are for socialising, and the organisers put together a programme of different activities. Other groups are based around a specific topic, such as hiking, photography or languages, and it’s a great way to meet up with people who share your interests. If you feel a bit nervous about speaking English, talking about one of your favourite topics is a good way to make sure that you don’t run out of things to say! I used to belong to a walking group that was organised on this site. While I was there, a couple of international students came to join us and the experience gave them the opportunity to speak some English and also see something of the English countryside. I’ve also been on theatre trips and attended Christmas meals – things that are more fun when you do them in a group! Of course you can go to the theatre on your own, but if you have people to talk to afterwards, it’s a good way to share your ideas and maybe make some new local friends as well. I gained a lot of really valuable experience of speaking and writing German, and working in a German-speaking team by doing some online voluntary work for a German organisation. If you’re already in England, it will be even easier to find volunteering opportunities – just make sure that what you are doing is classed as volunteering, not working, because failing to do so could mean that you break the terms of your visa. For me, the biggest benefit of volunteering was having the chance to work in a team using the language that I was learning. I now use these language skills at work every day, but I gained my confidence in a non-business setting, which made the task less daunting. The internet makes it possible to get information in any language without any problems. However, instead of sticking to media in your native language, try to watch the news, or find films, tv series or podcasts in English as well. This will make it easier for you to talk about news or current events with your new friends, because you will already have been exposed to the vocabulary that you’ll need. Whether it’s one of your hobbies, or something you’ve never tried before, have a look to see if there are any classes that you find interesting. One of my friends spent the summer in Turkey to improve her Turkish, and she signed up for a dance class there. The class was in Turkish, but the visual element meant that she could follow along, whilst at the same time learning some new dance steps and new Turkish vocabulary. This is another way to meet new people. Let’s face it, many of us spend loads of time on Facebook anyway – why not use it as a tool to help you find things to do? There are a number of groups that bring people together for local events. One of my German friends joined a Facebook group for people who were new to London, and they organised activities together such as visits to art galleries, picnics, sports etc. Finding new friends can be a bit daunting at first, but don’t forget that you are not the only new person in town! Groups on Facebook can help you to meet other people who don’t know anyone yet, and the group element makes it feel a bit safer to start with. You can always decide to meet up with people individually if you get on well. A lot of these suggestions are about social interaction, but if you want to develop your writing or speaking skills, and at the same time document your time in the UK, why not set up a blog or a Youtube channel? You could of course do this in your native language, but why not give it a go in English? Travel blogs are often popular and you might find other people in the same situation, or just people who are interested in your journey and what you experience in the UK! Whatever you do, I hope you will enjoy the experience of studying in the UK and that you take every opportunity to speak English. You’re in charge of how much you use the language while you’re here, so why not make the most of it?